BEST RENTAL VALUE IN PINEHURST! This house lives SO LARGE! Four bedrooms, featuring two master bedrooms, three full baths in a ranch style split plan. Sitting on Course #5 of Pinehurst Resort, this home has upgraded kitchen and master bath, large open living area with wood buring fireplace. Kitchen is open with stainless steel appliances and an island. More space off of the kitchen for a den and breakfast nook. Two porches off of the back of the house overlooking the golf course. Huge laundry/mud room off of double garage. 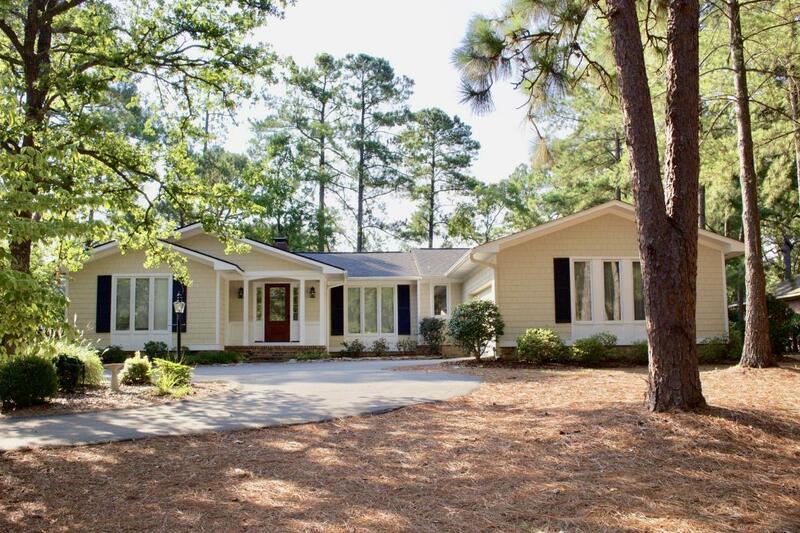 Wonderful location in Pinehurst, easy commute to Ft. Bragg and shopping. Washer/dryer included. Pets upon owner approval. Schedule your viewing today! AVAILABLE JULY 1ST. TENANT OCCUPIED.